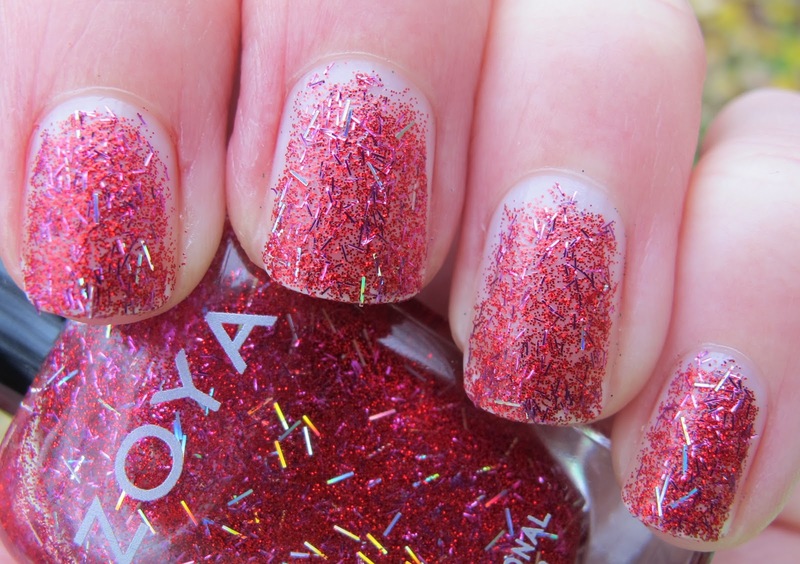 Never Enough Nails: Zoya Holiday Glitters Sparkle On Their Own! 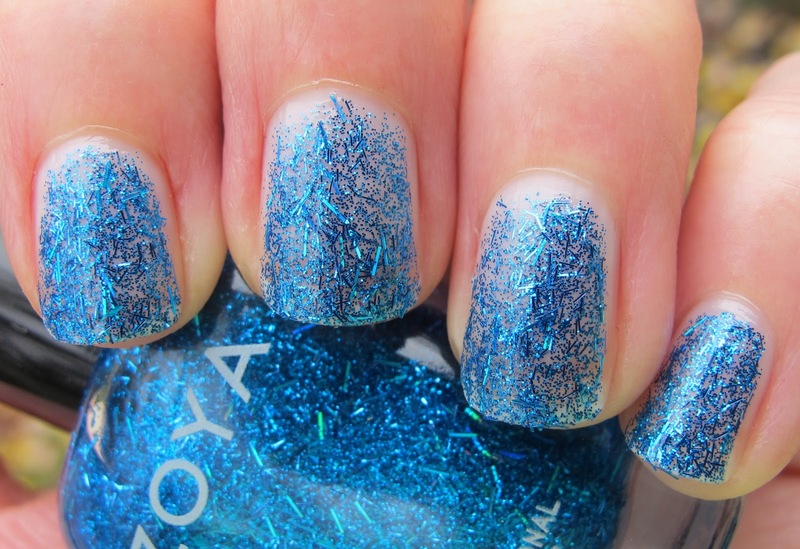 Last week I posted the Zoya Holiday 2011 Gems and Jewels collection, and showed you the three glitters layered on top of their corresponding base color. Today I have these three beauties all on their own! First up is Zoya Twila, the stunning blue glitter with blue bar glitter. I think Twila is my favorite of the three, although it is hard to pick! This is three coats and I'm very happy with the level of opacity at three coats. I don't see a need for a fourth coat. 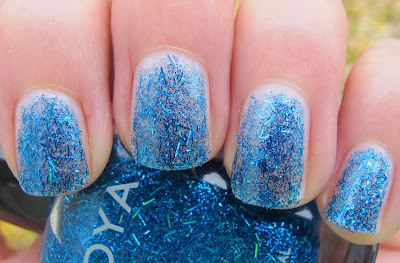 These glitters are pretty easy to wear on their own, so feel free to do so if you like! This wasn't very hard to apply either. 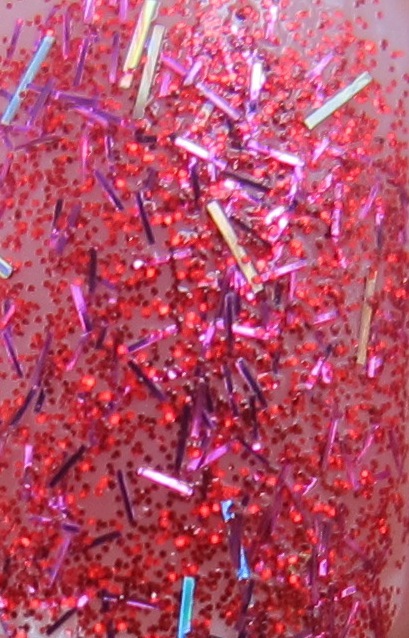 After application, I just had to push some of the bar glitter back on to the nail, as it was hanging over the free edge. Not a big deal though, for such a pretty polish! 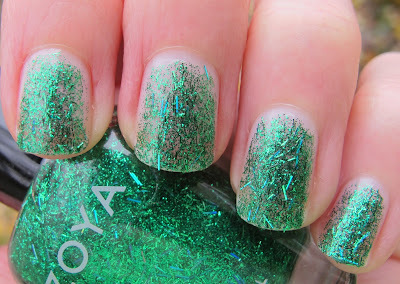 Zoya Rina is a really pretty color green for the holidays. It's a very rich-looking emerald color glitter with green bar glitter mixed in. I like this one on it's own a lot! I think I'd love it over silver and gold for the holidays too. This is also three coats and had the same good application. These are really quite buildable, and not as sheer as some people first thought. Finally we have Zoya Kissy, which is basically tied for my favorite with Twila. 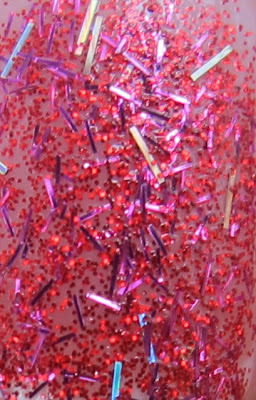 I love Kissy so much because it has small pink glitter and pink bar glitter, but it also has really cool holographic silver bar glitter. I managed to catch the holo effect in some of these pictures. Definitely click on them to really see what I mean. 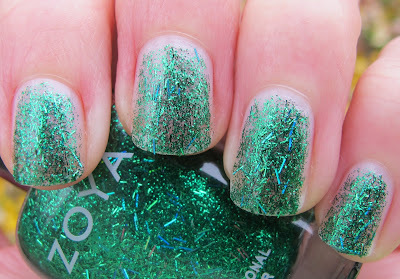 In the above picture, you can see the holo bar glitter best on my blurry pinkie nail, and in the bottle. Very cool. Kissy takes three coats as well and was no problem to build up to full opacity. Although, I would still really hate it if my name was Kissy. Overall, these three glitters can definitely shine on their own. No need to layer them if you don't want to! As usual for Zoya, the formulas were great in this whole collection. I do also love the addition of pink and blue to a holiday collection. 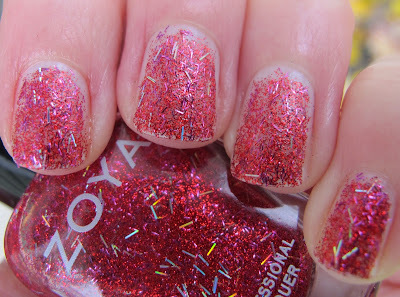 The Zoya Gems and Jewels collection is available now on Zoya.com. 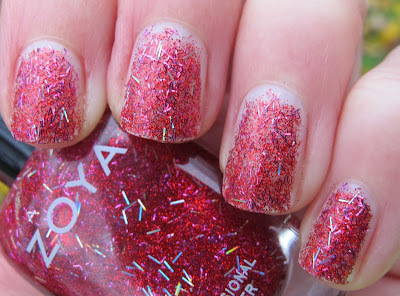 These polishes were sent to me for review by a PR agent for Zoya. For more information, please read my Disclosure Policy. Think I'll skip this collection. 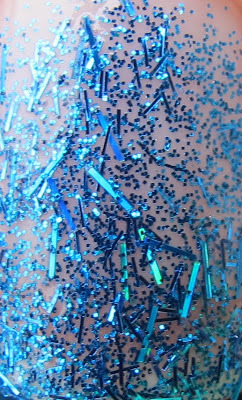 Not much into big pieces of glitter. Save my money for the new Feel collection! I like the blue one too lady flower! And Congrats on starting to post in English! 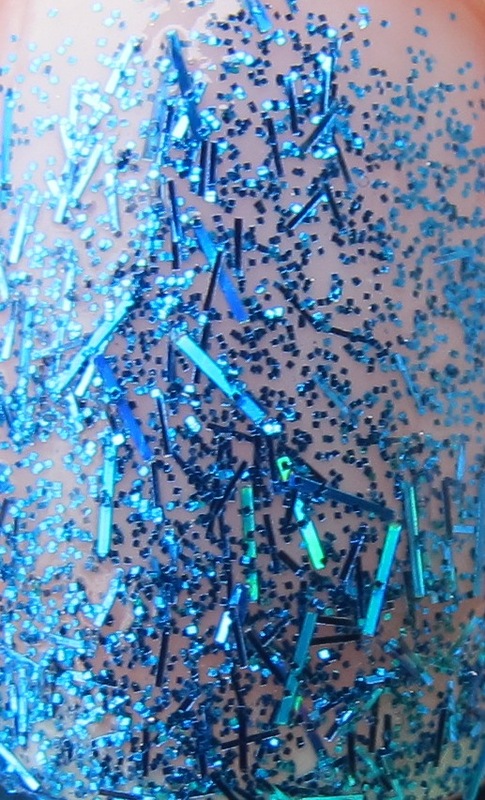 Megan- yea if you're not a fan of bar glitter, these three are not for you. Although the three other polishes in this collection might suit your tastes better!